Post Bump – Ultimate Cookbook List! This is an older post but given the creeping holiday season, I decided to bump it in case anyone needed gift ideas. Enjoy! A couple of weeks ago I posted an open call for the very best cookbooks. 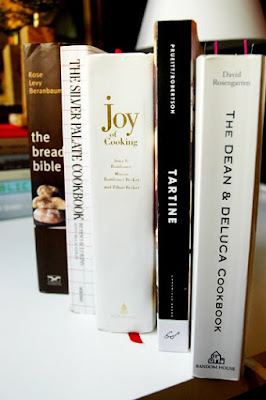 I wanted to compile a list of cookbooks that had been vetted by readers. The idea for this list came from my frustration with the shear amount of cookbooks out there….it’s hard to know which ones are good and which ones are crap. So, here it is. If you would like to add a book to the list, just leave a comment and I will update the list accordingly. Make sure to send the list to your friends. Check out the comments section of the original post to see who submitted and please make sure to visit their site! 14. The Great Book of French Cuisine: Revised Edition – Henri-Paul Pellaprat and Jeremiah Tower. Has anyone mentioned Mark Bittman’s How to Cook everything Vegetarian? It’s a great book with many creative twists on well-known classics and some! Great list! But I still want to hang on to my Fannie Farmer cookbook. Traditional recipes for classic sauces!